Something to think about the next time you watch downhill skiing! The 2018 Winter Olympics have kicked off, and already records have been set as captivated audiences across the world watch. But behind the spectacle of the opening ceremony and the awe-inspiring performances of the athletes, there’s a robust IT infrastructure that makes the Olympic Games possible. While we don’t usually think about how the technology behind the Olympics is delivered, the technological feats involved are just as incredible as the athletic achievements we see on television! As one of the largest events in the world, the Winter Olympics generates a lot of data. Developments in sports and events technology mean that data is becoming more device-generated than people-generated, resulting in an explosion of data. In the 2014 Sochi Olympics, Omega, the official timekeeper for the 2014 Games, introduced a new sensor capable of detecting speed, acceleration, G-force, and vertical track positioning data for the bobsleigh event. In 2018, the introduction of even more new technologies, such as AI-powered robots, will no doubt result in an even larger amount of data. And in future Olympics, innovations such as AI judges will result in even more device-generated data. This explosion of device-generated data is mirrored in other industries, such as the life sciences and media and entertainment. Developments in sequencing technology have made it faster and cheaper to sequence genomes, resulting in an explosion of genomic data; meanwhile, better camera technology capable of capturing higher resolutions has resulted in an explosion of media data. With this explosion of data come huge data management challenges of data protection, data movement, search and discovery, and learning. 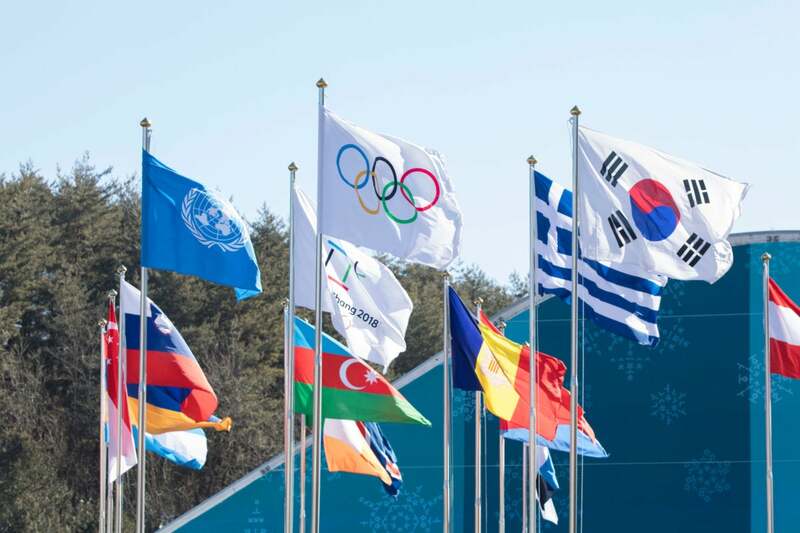 Data protection for the Winter Olympics, among the largest events in the world, is quite the task. Not only is there a lot of data, it’s also highly valuable, has a global impact, and is likely to be targeted by hackers. The Winter Olympics is an event with incredible political significance, especially this year with a unified Korea competing in the Games. The Olympics need an effective data protection strategy to prevent the loss of this data with global and political importance. Getting the data from where it is to where it needs to be is another essential requirement of managing Olympics data. With people all over the world eagerly watching the events unfold via livestreams, it’s imperative that information is relayed quickly and reliably. Data movement is made more complicated by the fact that data is being collected in multiple places, by many different devices in different locations. With this huge amount of unstructured data, it’s also important to have good auditing, logging, and indexing to keep track of where the data is. With any large amount of data, just knowing what’s there is a huge challenge. The problem isn’t prevalent when data is at small scales, just as individual readers can keep track of books in their own home collections. However, once datasets get large, like books in a large public library, they must be cataloged to not only know what’s there but to find related material. Similarly, in enterprises, unstructured file data is often maintained at smaller scales without central catalogs using strict file and directory naming conventions. However, once data gets large, catalogs and automated search indexing become best practices. As the Olympics datasets continue to grow and be retained over time, the same types of search and discovery capabilities will emerge as requirements. The data collected during the Olympics will eventually be used for analysis and learning. The sports industry has begun utilizing machine learning to improve performance, avoid injuries, and more. For the 2016 Summer Olympics, the Irish field hockey team hired a startup that develops biometric measurement technology to identify players at risk for injury. This technology used machine learning to help coaches see individualized data for each player. As technology continues to evolve, data will continue to grow. Alibaba envisions an Olympics run entirely in the cloud, using data intelligence and machine learning to optimize the event’s functions. Think about that while you watch the half-pipe!